What if you are the lead dog? You’ve heard it a thousand times: “If you’re not the lead dog, the view never changes.” As pithy as that sounds, it’s true, and it offers the encouragement we all occasionally need to step up and break out of the pack. But what if you are the lead dog? No one ever seems to talk about that. Sure, the view changes when you’re out in front. But it’s not all sunshine and packed powder. 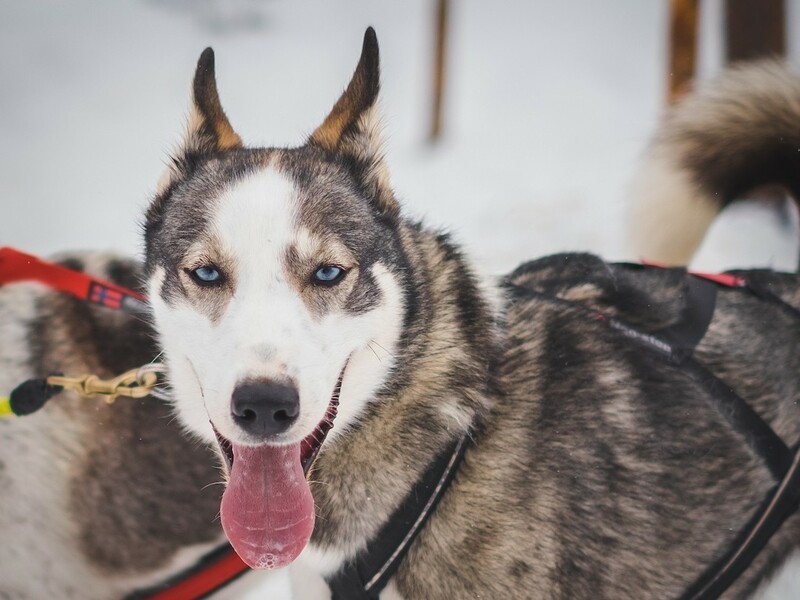 The lead dog gets to bear the full brunt of the wind, snow, sleet, near-zero visibility, uncertainty about which way the sled is heading, and second-guessing of the rest of the team. Those are a handful of quotes from the “lead dogs” responsible for developing the iPhone, recounting what it the process of invention was like. We’re so used to companies like Apple leading the way that we may assume it’s second nature to them. Not true. They know that victory can be perennial but it’s never permanent; just ask Budweiser, Mattel and McDonald’s, three longtime industry leaders feeling the effects of inevitable decline. Apple’s turn is coming soon. For those who head up the seven out of ten companies who (according to our research) are currently experiencing healthy growth, it’s not so bad being the lead dog. They can see where they’re going. They’re making good progress. They’re running in stride with their team and outpacing their competitors. But inevitably for them, and painfully immediate for the other 30 percent, comes a slog. A long, hard, sometimes blinding and often frightening slog. My firm specializes in working with struggling companies in need of a turnaround, and many of the leaders we work with would love the predictability of bringing up the back. But they can’t choose the timing of their trials. Circumstances have forced them to choose a new direction where the right direction isn’t readily apparent. They have to set and maintain a workable pace for an uncertain trek. And they must stay focused despite the chaotic and incessant barking of the dogs behind them. We’re working with a CEO who is doing all of that and more as he oversees the rapid and dramatic evolution of his company’s business model. His organization had been in the distribution business for several decades, enjoying many years of steady, stable success, financing its growth with debt. But then the Great Recession hit. Orders ground to a halt. Employees were scared and confused. Management was shell-shocked. Cash flow was rapidly heading in the wrong direction, while the debt continued compounding. The company went through as close of a near-death experience as I’ve ever heard of. Somehow, it made it through, refinancing its debt as things slowly started to improve. But the recession lingered on, and the industry changed. The company was no longer as relevant as it once was. Its value proposition was in decline. Having worked so hard to save it, the CEO now has to reinvent it. Not so easy to be the lead dog there. Another client is a manufacturer in a rapidly commoditizing industry, dealing with rising costs of raw materials and uncertain trade policy, among many other challenges. Its “lead dog” has developed a bold vision to transform the organization, but the pathway there is anything but obvious to him or his team. Sometimes they come to a clearing and it’s easy sledding. Sometimes they’ve run into a snowdrift. A few times they’ve nearly tumbled into a crevasse. It looks like this company is going to get where it needs to go, but it has required an immense amount of vision, courage and perseverance. Speaking of Apple, The Wall Street Journal published a rare and revealing recording of Steve jobs trying to explain the revolutionary impact of the App Store to a reporter just 30 days after it had launched back in 2008. Today, it’s easy to appreciate how game changing it actually was. But back then, Jobs saw something others didn’t; you can hear it in his voice as he strains to convince the reporter of its significance. Lead dogs are often lonely, even when they’re right. Ever tried to raise money for a startup? Create a prototype? Change a policy? Launch a product? Turn a company around? Reinvent an industry? We’re all lead dogs—or need to be. As a lead dog myself, I can testify that it does beat the view never changing, and I take comfort in the fact that, as in all things in life, there’s a wiser being who’s really in control of the reins. Still, it can be as exhausting as it is invigorating to run ahead of the pack. Sometimes you just want to take a nap.